Who says G Free food can’t be delish? Or that it has to be weird and complicated? I will be posting three of my favorite simple recipes that naturally have no gluten over the next few days, including my very first fertility food friday! Make sure to check back! Often people I talk to associate eliminating grains from their diet with removing everything fun. It just ain’t so friends. 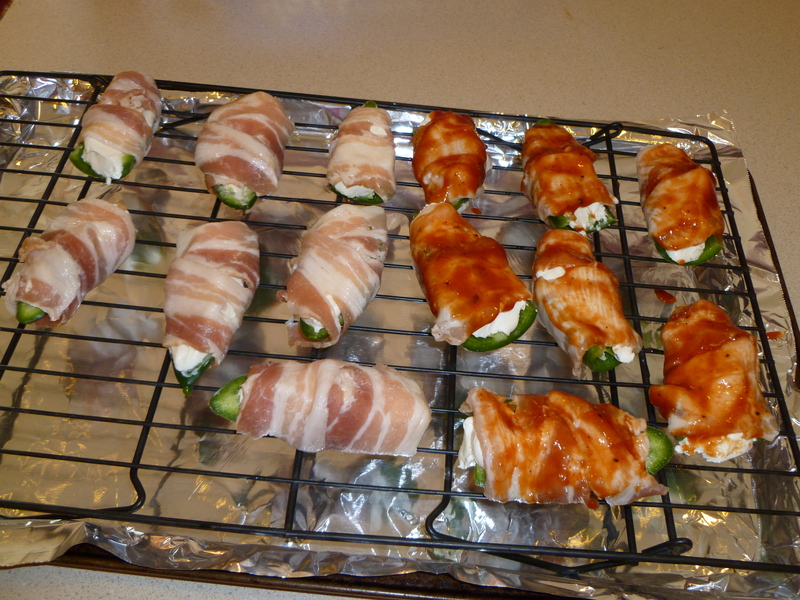 This poppers are my one of my favorite snacks/appetizers. In my humble opinion they beat the heck out of dry pretzels. But don’t take my word for it…. This is a half adaption from our awesome neighbors with a little bit of the Pioneer Woman mixed in. This is the basic recipes, but you can do all sorts of crazy things to suit your own taste! 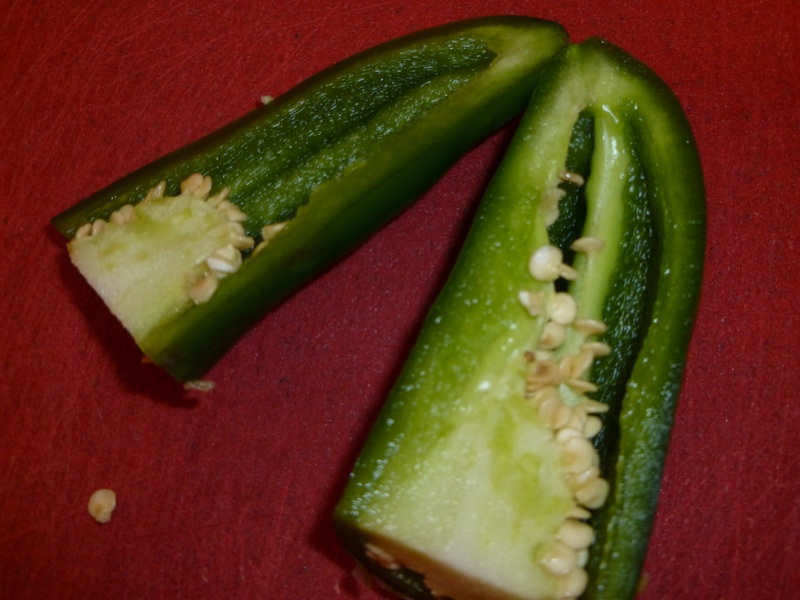 8-10 jalapeno: depending on how large they are and how much cheese filling you like. Mine are big guys and I like lots of cheese. 8 oz (1 package) of cream cheese. 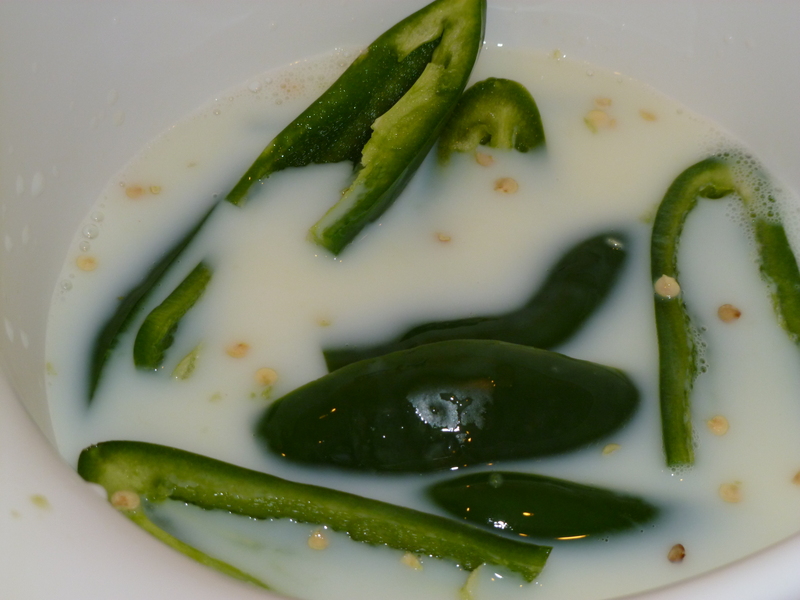 Do all the lovely green peppers. Line them up on your cutting board and bask in the excitement of your adventure. 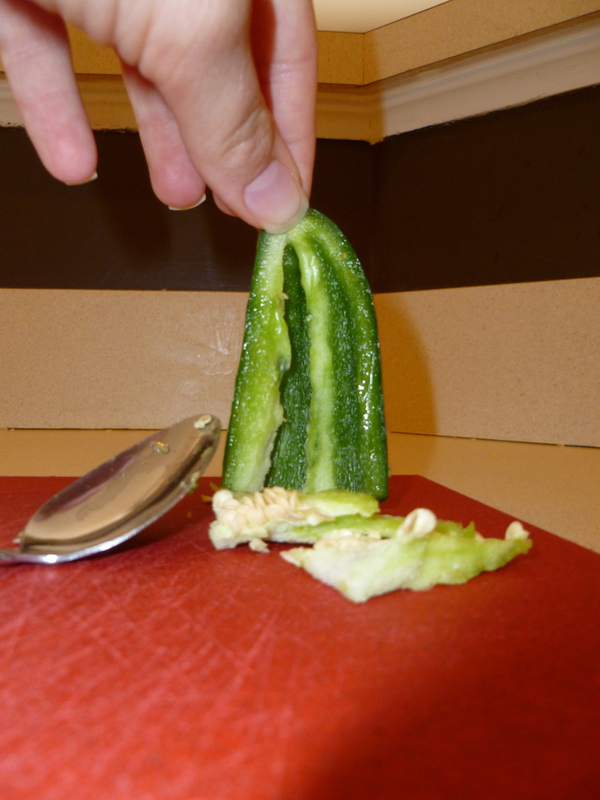 Using a small spoon, Scrap the seeds out. Unless you like your food fire burning hot. Its your call. Texas called. They want their residency back. Fire breathing Texan skip this, plus leave some seeds. 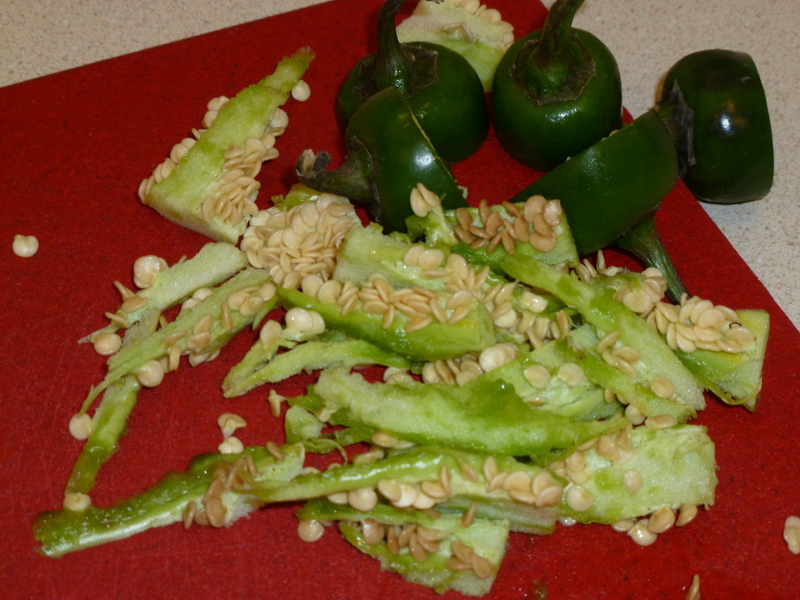 Eats “Hot Salsa” with ease: Get rid of the seeds, skip this step, or perhaps give the peppers a good rinse with water. 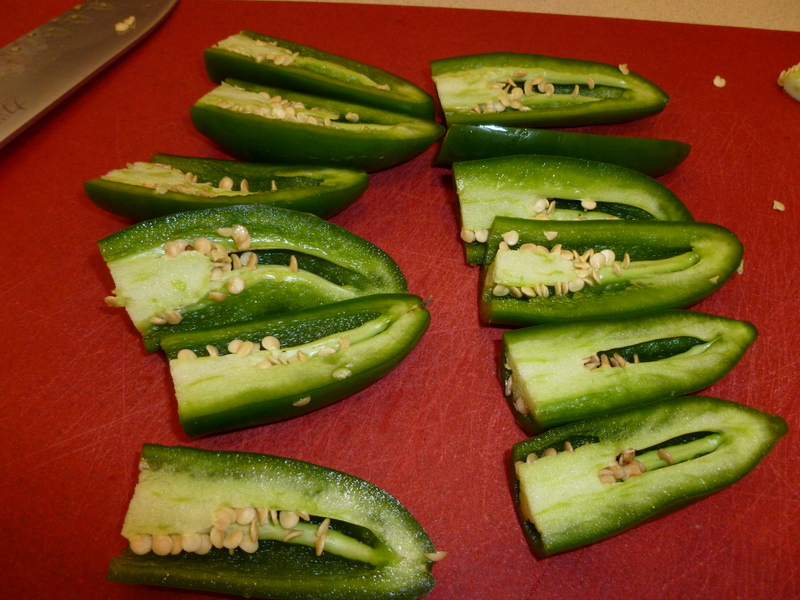 Mild Salsa: Soak Peppers for 10-15 Minutes. Give them a good rinsing, and off we go. 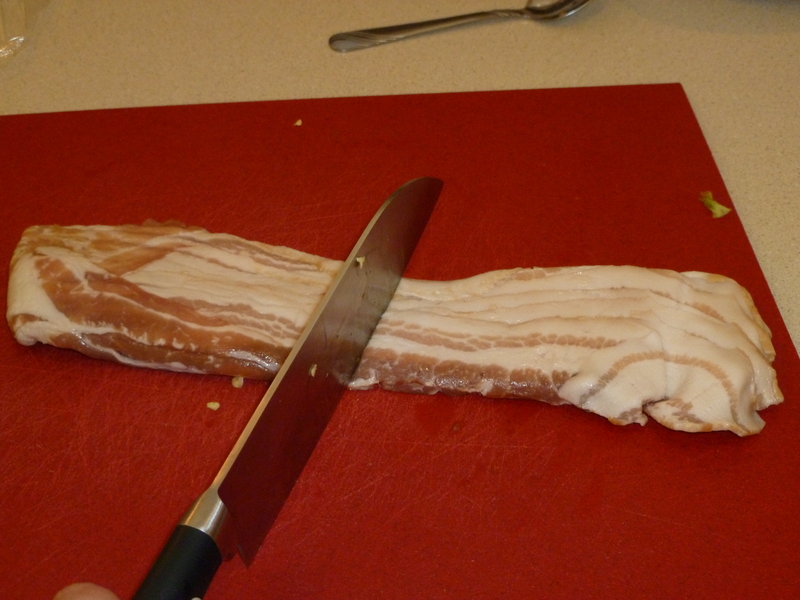 Cut your bacon in half. 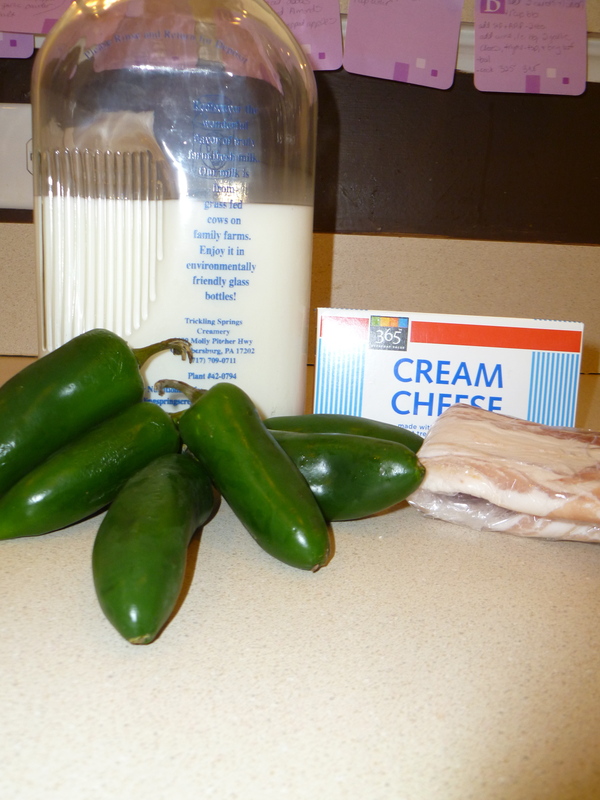 Heres where we go so wrong its right from my neighbor & the Pioneer woman. Use half a strip of bacon, instead of 1/3. Its delish, plus you don’t have to worry as much about securing it with a toothpick come assembly. Ok your back! Lets get to it! 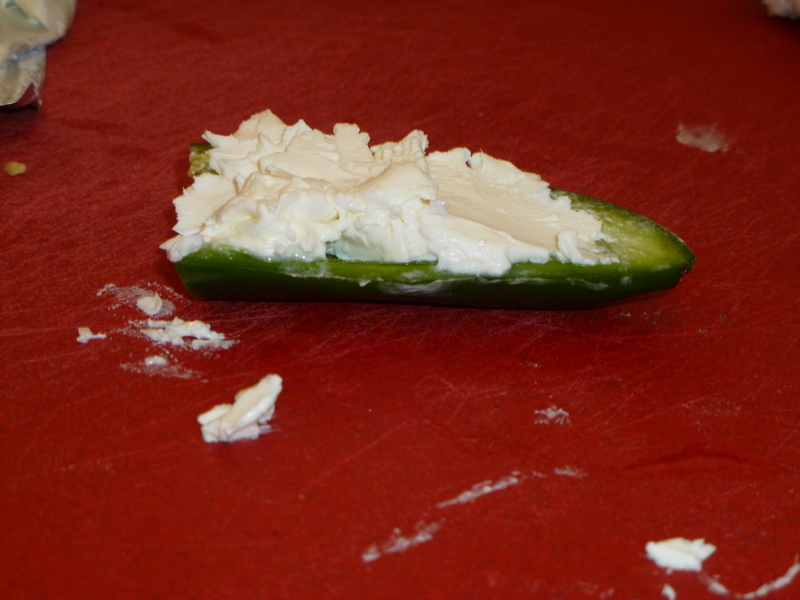 Stuff each of your halved, rinsed, and somewhat dried (don’t be a perfectionist) peppers with cream cheese. Fill depending on how much cheese to pepper you think you may like. I like lots of cheese. You may need to mash the cream cheese in with your fingers. Its ok. Get Messy! Wrap each of these little amazing creatures in half a slice of bacon. Look Ma, no annoying toothpick! 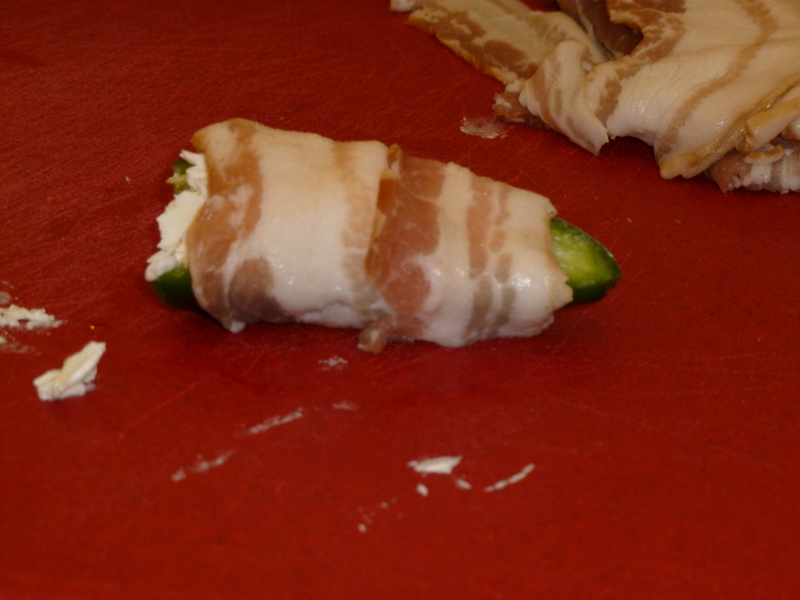 Line them up on your pre created jalapeno Popper 2000. Oh, you don’t have one? You could also just put these on the grill. But sometimes I want them at, say 10 am on Tuesday and I don’t want to fire up yee olde grill. 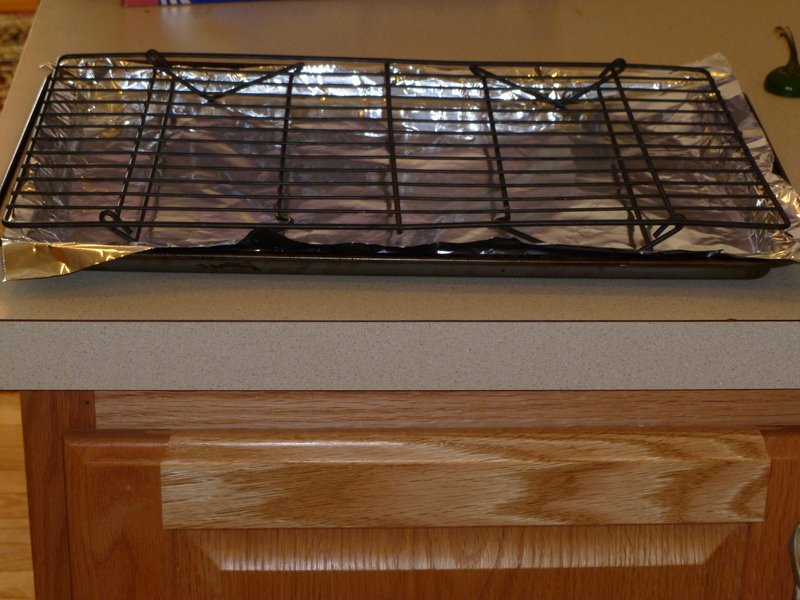 Line your little delicious friends up on the rack. Now here comes the controversy. The Pioneer Woman slathers on some BBQ sauce. I am not a fan. Husband is a HUGE fan. Compromises must be made. 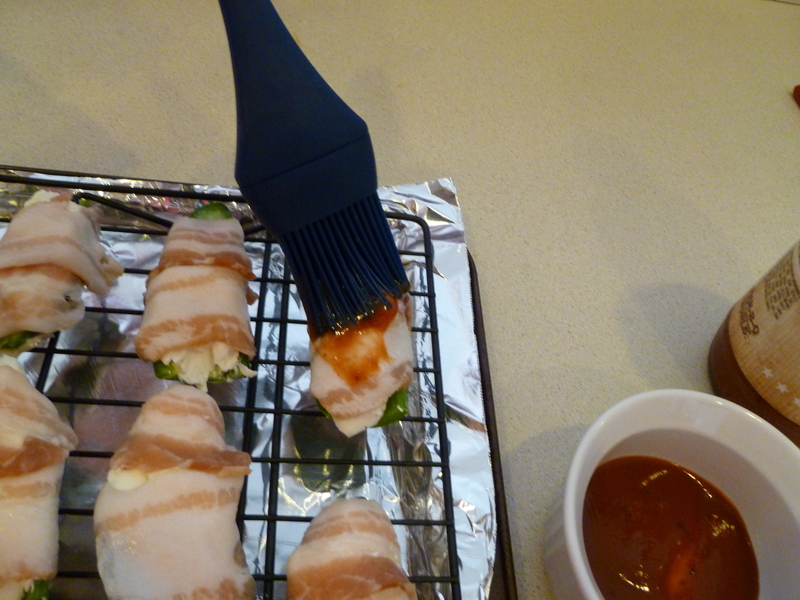 Brush your BBQ sauce on as many Poppers as you feel compelled to. In my house that’s half of them. Even though my picture taking is not great, you will want to shove one of these bad boys in your mouth immediately. Be warned! They are HOT on the inside. 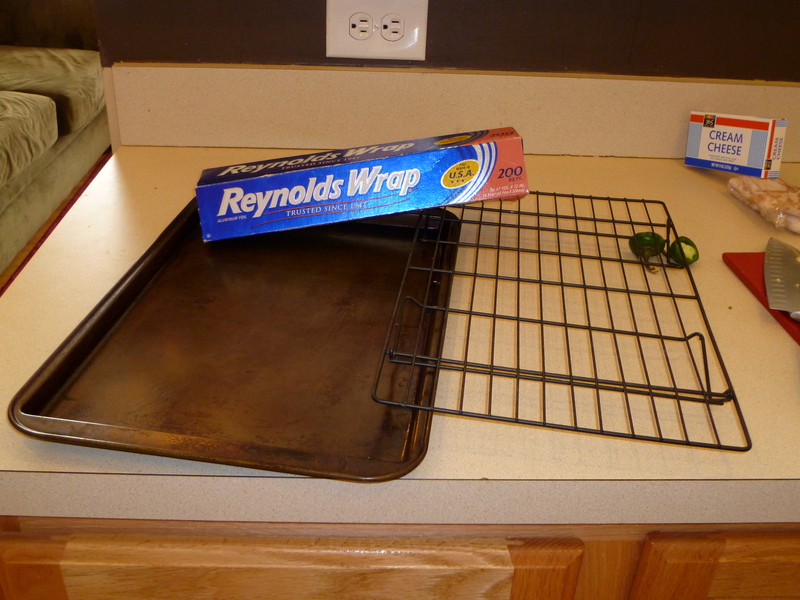 Let them cool for 5 or so minutes. These keep well in the fridge for maybe a week, but they won’t last that long. My husband came home from work and shoved 4 in his mouth. REALLY. Maybe you should think about hiding them. The when someone is like, oh yum I’m eating a crusty dried pretzel, you can be all like, I gonna go eat some Amazing-ness. You could be nice and share then. That would be the right thing to do. 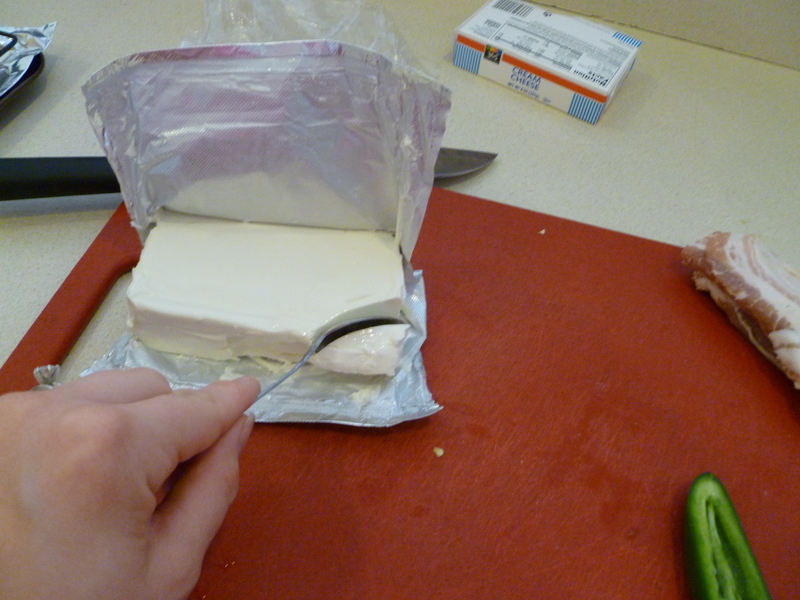 Add shredded cheeses to the cream cheese, mix together than stuff. 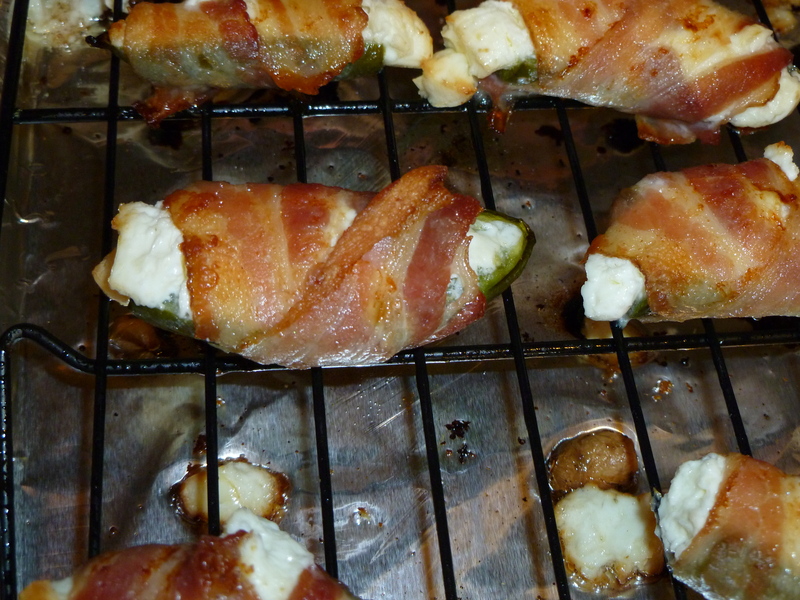 Sonic Cheddar Peppers have nothing on yours! Add a piece of pineapple to the pepper before you wrap it. Mmm Spicy Sweet. Add a piece of chopped shrimp before you wrap it. You do what you want, its your popper! This entry was posted on Thursday, April 21st, 2011 at 1:42 pm and is filed under Gluten Free, Infertility, Recipes, Sugar Free. You can follow any responses to this entry through the RSS 2.0 feed. You can leave a response, or trackback from your own site. It’s that Texas blood! 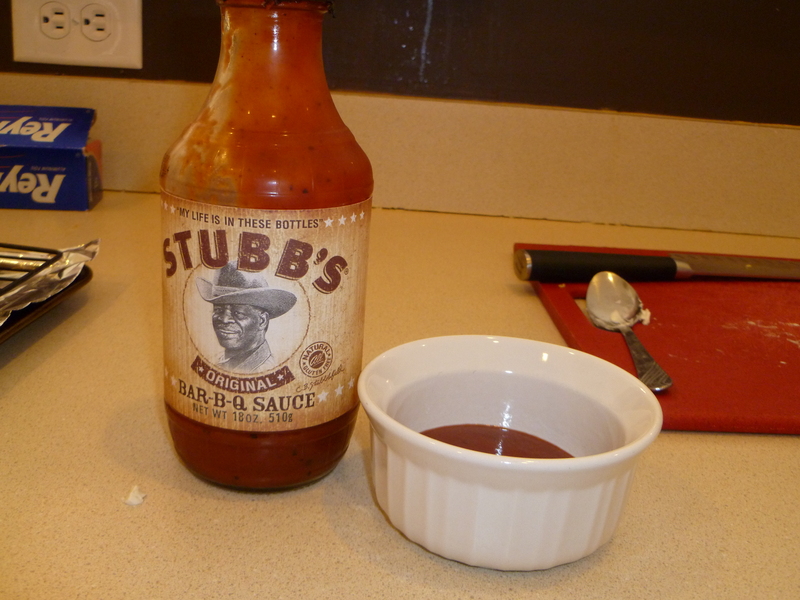 I bet you all know what Stubb’s BBQ is (besides amazing:) mmm stubb’s. 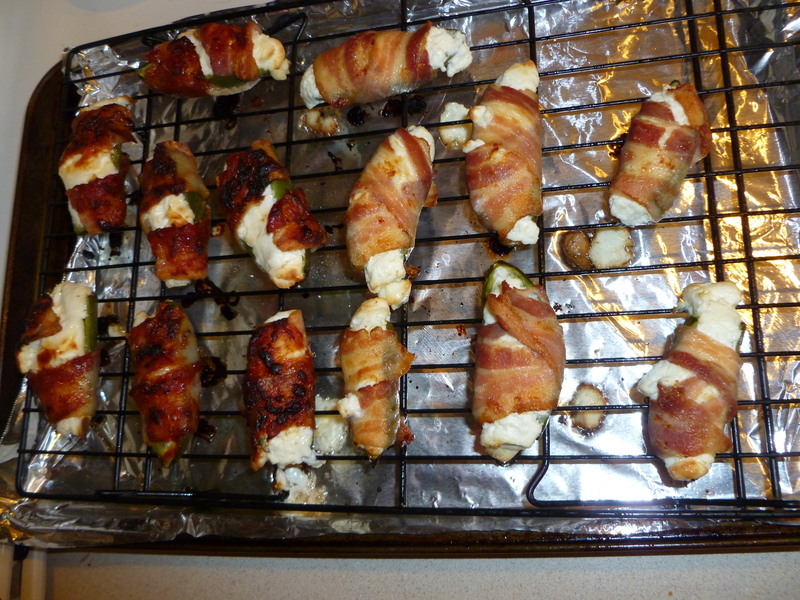 Drool, I’m making these now! I’m so hungry.